On November 9, 1971, John List carried out the carefully planned murders of his wife, their three children, and his mother in Westfield, New Jersey. Then List disappeared. The bodies of the List family were not found until a month later. List wasn’t caught until the television show America’s Most Wanted featured him on a broadcast in May 1989. 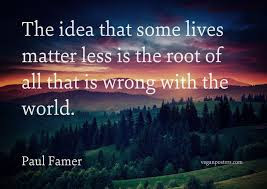 He was arrested in Virginia (where he created a new identity and new life for himself); extradited to New Jersey, tried, and found guilty of five counts of murder and served five consecutive life sentences. While there is no excuse for the murders, List, an accountant, seemingly succumbed to financial and family pressures. He had lost his job, and his wife Helen had been suffering from tertiary syphilis for nearly two decades. Charles Salzberg, a former journalist, had wanted to write a book about John List for years. 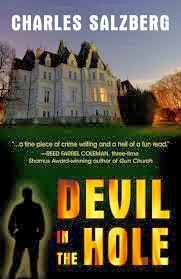 DEVIL IN THE HOLE is an extraordinary crime fiction novel due to the unusual conceptualization. In the novel, John List becomes John Hartman, and Westfield, New Jersey is Sedgewick, CT. The other details from the true crime are included although somewhat altered as well. Since it’s based on a true crime, the reader already knows “whodunit.” Salzberg, then, addresses all of the “who’s.” Each chapter is told from the perspective of over twenty different characters: the neighbor across the street, the first officers on the scene, the Chief of Police, the state police investigator Charlie Floyd, Hartman’s girlfriend, people who meet Hartman while he is on the road, and John Hartman himself. The chorus of these characters drives home just how abominable Hartman and his crimes are. The novel would merely be a neat party trick if Charles Salzberg weren’t such a master of crime fiction writing. Salzberg’s prose is so crisp and elegant, and his ear for how people truly speak is unerring. Each character, no matter how minor nor how brief an appearance, is distinct and original. John Hartman doesn’t speak until nearly half-way through the book. Of course the reader wants to know this man, and try to understand how he could meticulously plan and then execute such a heinous crime. Salzberg manages to make even such a monster deserving of sympathy, or at least worthy of pity. (The other character who is most compelling is Charlie Floyd, whose hunt for John Hartman consumes his life.) This novel was an original and exhilarating reading experience, and that comes along all too rarely. Luckily, this reader can now dive into Salzberg’s Henry Swann Detective novels (the latest, SWANN DIVES IN, was published on December 4, 2013).